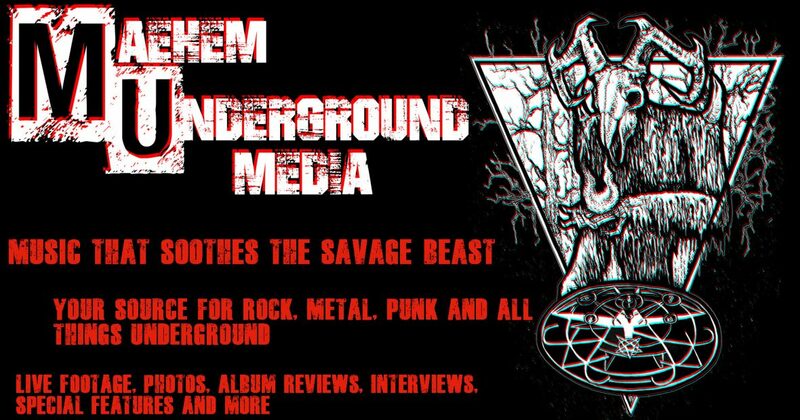 After a lot of discussion and much interest in the Maehem Underground Media project, a team of individuals have come together to bring the underground music scene to you! Emily Mae– Creator and Editor-In-Chief of Maehem Underground Media. It all began with her time on the scene taking photos of the local talent which eventually lead to photographing national acts and the discovery of her passion to write about what she was seeing. Emily felt that she had seen bands that were every bit as talented as those on the “big” stage and wanted to create a professional type of outlet for the local musicians that were out there giving it their all. Thus-M.U.M. was born! Cat Sullivan– “Punk Commander In-Chief”. Videographer and interviewer for Maehem Underground Media. She is always out on the scene in Madison, WI. Cat moved to Madison in 2016 and has since dived headfirst and balls out into the local music scene, going to any show she is available to be at, as well as being in a few bands also. Music is her entire life and all her favorite bands are local, All Kings Fall being #1. Mitchel Fulcer- Creator of the Gearview Mirror segment, interviewer and album reviewer, he is a musician himself and has been in the local scene for well over 10 years. We get an inside perspective here through his personal experiences as one who plays on the scene as well as one who works as a journalist for M.U.M. When he’s not shredding on guitar in the touring metal band All Kings Fall, he is right here with us bringing the scene to you with interviews, gear content, and much more! Not to mention that he is ranked Wisconsin’s number one hardest headbanger and best thrasher! So, if Mitchel is in your front row-get ready! Don Niesen– “Doomed and Stoned” Specialist, creating reviews as well as interviews. He is a long time thrasher on the scene since the 80s, when metal was born! As the most experienced on-the-scene member of M.U.M. he has many tales to tell. So, if you are interested in kicking it old school be sure to hit him up! He is well rounded in his knowledge in the school of thrash, that’s for sure! Ian Gray- Creator and host of our YouTube program Powerslide and contributor! When he isn’t giving us the low-down on what’s new on the music scene, he is keeping things heavy as the thunderous bassist and vocalist of Wisconsin local metal band All Kings Fall. Long time fan of metal, he has an extensive collection of cassette tapes that you wish you had! Samantha Crocker- Editor and CFO at Maehem Underground Media! She has been working hard behind the scenes to give us the professional edge we need to better our content for all of our readers out there. She is a long time fan of the music scene and has been jammin’ with Emily since they were just a couple of metal chicks finding their way in middle school! Abby Niesen– News Editor/Publisher. Younger sister to Emily; with a past in the “Emo” scene she has a love for and finds solace in music from Alternative rock to heavy metal. While living in the quiet life of an alternative mom, shes happy to make time to help us prepare all the latest news for all of you music lovers to enjoy! Zach Schmitt– ‘Death and Black Metal Specialist’. Album reviewer and contributor.